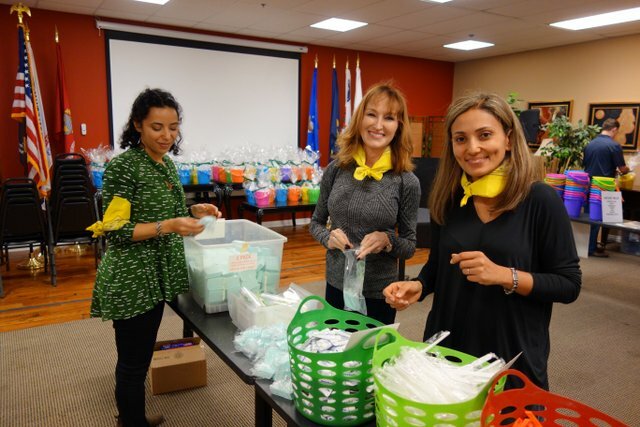 Combine your next corporate team building event with a charity twist! Use the combined effort of your group to make a difference in the lives of people in need. We’ll pair your group up with an organization. Your efforts on their behalf will uplift and inspire members of local communities, inspire youth, aid the sick, or help military personnel and their families. To achieve your goal of helping these special groups your team will assemble boxes or fill backpacks with needed supplies. 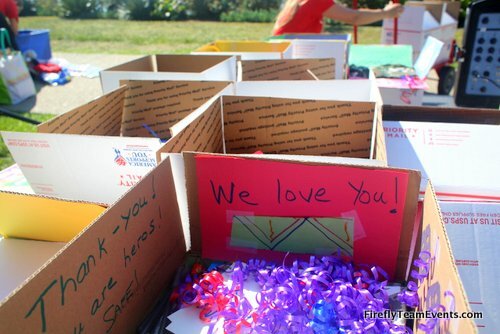 Each bag or box will be decorated and your team will create an uplifting positive card to place inside. Comfort Kits – Often given to kids in shelters, group homes, or foster care. School Supply Bags – For children that can’t afford basic school supplies. Professional Emcee, Onsite Coordinator, Event Staff, Team Bandanas, PA System (up to 150 people), Set-up/Teardown, Photos of the Day, Group Photo, Decoration Supplies for Packages, Boxes or Bags, Filler Items, Custom Implementation, Procurement and Delivery of Materials, and Coordination with local school or charity if charitable option chosen.